For those who may be unfamiliar with them, the devs have a forum thread on their website that goes into more detail about how these non-dedicated servers work. Essentially, a player can create one of these servers by choosing to host a session and specifying the appropriate settings. The server will only exist while the host is active so you can't get back into it when the host is not playing. Additionally, players are tethered to the host by a range of 200 meters, so you're not free to roam about wherever you choose. Studio Wildcard has plans to improve some of these current limitations, but for now, if you want to combo co-op with your friends, this is the only way. 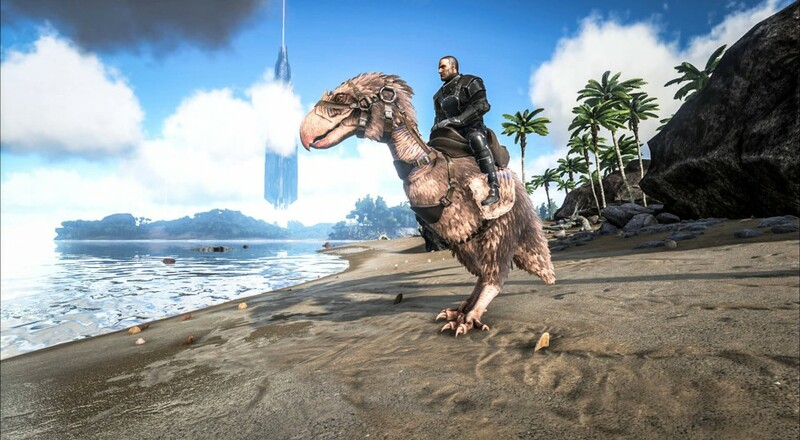 In addition to this feature, the latest patch has added all content from the most recent PC patch, meaning there are new armor/items/weapons in the world as well as two new dinosaurs: the Gallimimus and the Terror Bird. Page created in 0.3652 seconds.